Her face shows a garden where a hummingbird hovers. Carefully sculpted of crocodile wood and painted by hand, this doll represents a Balinese beauty. 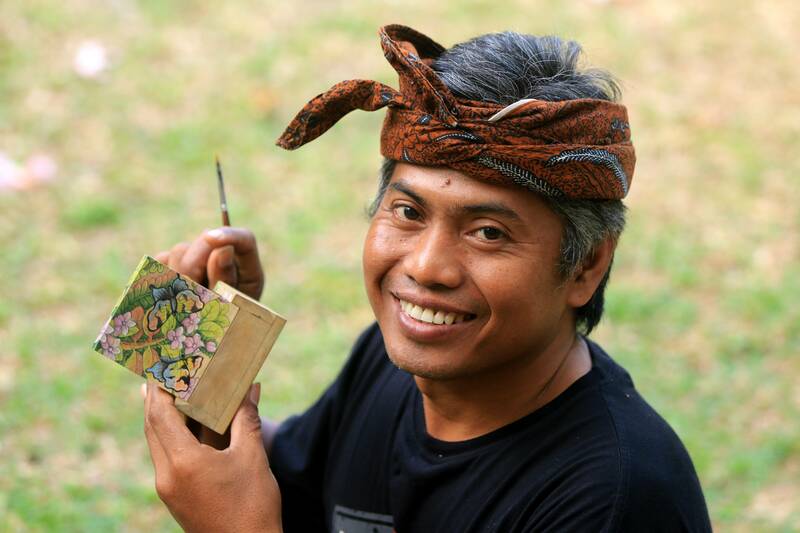 Gusti Ngurah Semarajaya creates an image that reflects the wealth of art and culture in Bali. The gown is made of handloomed ikat, a cloth with threads dyed in random patterns before weaving. Not a toy. Not intended for use by children age 12 or under.